The Russian Presidential Academy of National Economy and Public Administration under the President of the Russian Federation or RANEPA, is the biggest federal state-funded institution of higher professional education located in Moscow, Russia. RANEPA, accredited by AACSB, EFMD, AMBA has earned a strong reputation in business education based on cutting edge research and case analysis of industry practice. 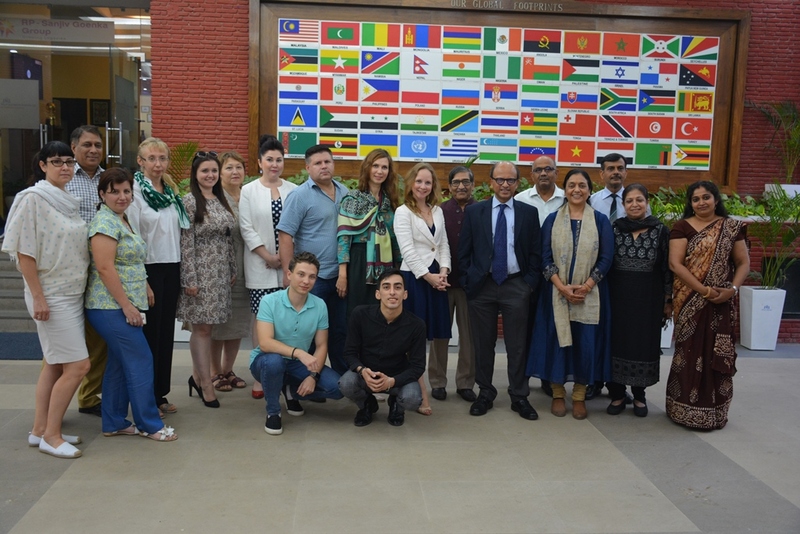 A delegation of Russian specialists from RANEPA visited IMI Delhi for exchange of ideas and to discuss promotion of study abroad experience with the senior faculty members and vertical heads. RANEPA is one of the global partner schools of IMI Delhi. Prof. Himadri Das, Director General, Prof. Sonu Goyal, Dean International Relations and Exchange Programs, Prof. Arvind Chaturvedi, Dean Development, Prof. Sidharth Varma, Dean Academics, Prof. Shailendra Nigam, Dean Corporate Relations, Prof. Neena Sondhi, Head Research and Chairperson, FPM, participated in the discussions and shared the various practices undertaken to promote management education as part of the master and doctorate level programs at IMI. There was exchange of presentations and information on International Management Institute Delhi and Russian Academy of National Economy and Public Service of the Russian Federation (RANEPA). Both partners explored the possibility of promoting joint research, student & faculty exchange and executive training programs. The meeting was attended by the following delegates from Russia. Vera Chegarnova, PhD in History, Head of Department of Vocational Guidance and Career; Associate Professor of Department of Public and Municipal Administration and Law, Pyatigorsk Branch of the RANEPA.